First I want you to thank for this great opportunity the RAB Trust gives us students. 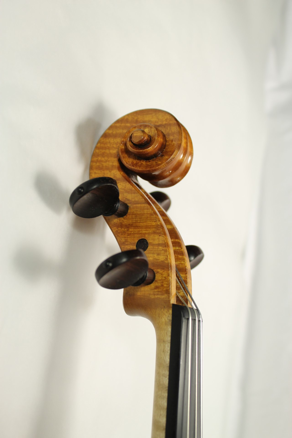 The work experience I got with the cello maker Kai-Thomas Roth helped me a lot. He showed me some different ways to work, like using the plane much more than I did before. In the time I was there he was making a cello scroll, showing me his way of working; he also demonstrated how he makes centre joints. He showed me how to use different tools properly, like filing… He took a lot of time answering my questions, bringing out books… also, it was good to see how to run a workshop. At the same time I started work on templates and a mould for my own cello -a Vuillaume Strad copy, which I wanted to start this year. I plan to start it in spring 2013, after finishing the 2nd year coursework. “In third year I completed my first cello, which I varnished and set up during a work experience with Ersen Aycan in Germany. Being a cellist myself, it was of huge importance to me to get as much feedback as possible; I have been lucky enough to have it played by Heinrich Schiff and Thomas Carroll before their performance at the Cadogan Hall and by Raphael Wallfisch at the Amati Exhibition this year. 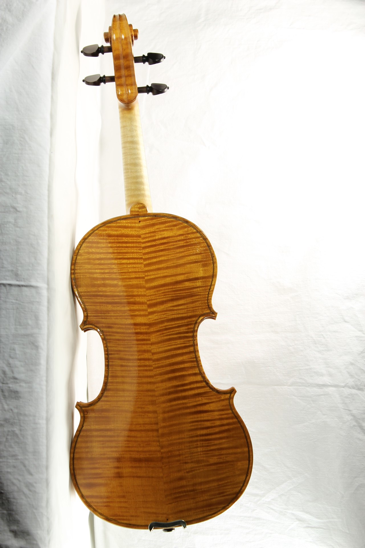 This year I also made 5 violins, including two as joint projects with other students. 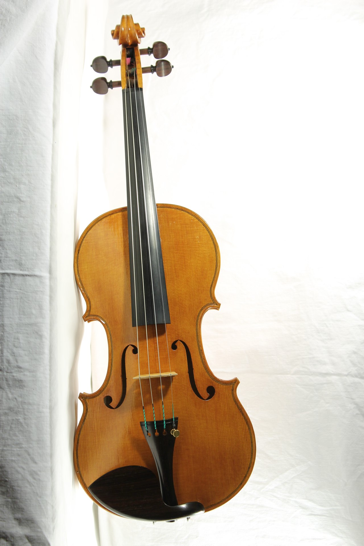 In my continued search for maximum criticism I entered my latest violin into the 7th International Violin Making Competition, Mittenwald. I have endeavoured to make as many contacts as possible because I realise these are the established people who my professional development depends on. As for my future plans, I want to spend at least four years in an established workshop, to thoroughly learn the trade in a business environment and achieve a high enough working standard so I can eventually start a business of my own. To this end, I have several interviews already set up and am looking for more. I am unsure where I will be next year but wish to leave my options open, and would be happy to work in either restoration or new making, as long as I am continuing to learn.